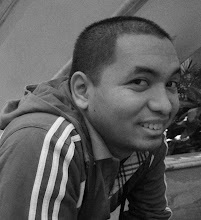 *This first appeared my weekly column on FIBA.com. Let's start the new year right. Let's start it by giving thanks for a wonderful 2015 that was chock-full of topnotch hoops action. Let's go position by position and look at the players who made the most significant impact in Asian basketball this past year. In this post, I will talk about the players who did a lot of good for their respective teams and countries in 2015. Perhaps they led their teams to tournament titles. Perhaps they made history. Perhaps they did all of those things. Japan repeated their championship feat when they beat China, 85-50, in the Final of the 2015 FIBA Asia Women's Championship in Wuhan, booking gain their tickets to the 2016 Rio Olympics and reasserting their supremacy in the region. At the forefront of the Japanese's attack was center Ramu Tokashiki, who is currently the only Asian in the WNBA. The 1.91m 24-year-old frontliner was named the tournament MVP after averaging 11.4 points, 6.0 rebounds, 1.9 steals, and 1.6 blocks per game while shooting 44.9 percent from the field. Perhaps more importantly, though, Tokashiki’s splendid performance cemented Japan’s status as THE women’s basketball power in Asia. To say that Palestine had an historic 2015 would be a tremendous understatement. They played well enough in the 2015 West Asia Basketball Association (WABA) qualifiers to advance to the 2015 FIBA Asia Championship for the first time ever, defeated a powerhouse Philippine team on the very first game day, swept their preliminary group and served notice that they were a force to reckon with. At the heart of it all was inspiring big man Sani Sakakini, whose all-around brilliance led his team's overachieving run. When the dust settled, Sakakini ended up as the tournament's leading scorer and rebounder and was second in efficiency right behind teammate Jamal Abu Shamala. With the 2.04m 27-year-old Sakakini at the forefront, Palestine certainly has a bright future ahead. One guy to watch out for in the near future is Korean phenom Yang Jae-Min. The 1.98m 16-year-old is a one-man wrecking crew who can potentially become his country's main man once he matures. He is one of a select few to compete in TWO FIBA Asia U16 Championships (he first played for the Korean U16 team when he was a 1.92m 14-year-old wingman) and in the 2015 edition he was successful in leading his squad in their redemptive campaign after getting knocked off in the Quarter-Finals two years earlier. With averages of 16.0 points, 6.0 rebounds, 3.7 assists and 1.8 steals per contest, Yang is surely well on his way to following in the footsteps of his father, Yang Won-Jun, who played professional ball. This 1.90m 25-year-old guard for the Aisin Seahorses in Japan's NBL was Team Hayabusa's leading scorer at the 2015 FIBA Asia Championship, putting up 15.0 points along with 3.2 assists, 2.8 rebounds and 1.8 steals per outing while making more than 48 percent of his field goals. Because of this, a lot of fans felt he was very deserving of a place in the tournament's All-Star Five, although he was edged out by the next guy on this list. Still, Hiejima represents the rejuvenation of Japanese hoops. From failing to make the Quarter-Finals in 2013 to getting banned in 2014, the outlook was bleak for Japanese basketball, but getting reinstated earlier in 2015 and finishing among the top four teams in Changsha-Hunan has really put them back on the Asian basketball map. A lot of people may be turned off by Guo Ailun's bravado, but he wouldn’t be the player he is without his swagger. He was already a solid performer in the 2013 FIBA Asia Championship in Manila, but he upped his game even more in 2015, leading the hosts in assists (4.0 per game) while also putting up 10.9 points, 3.2 rebounds, and 1.3 swipes per game. He came up big in the games that mattered the most, making big plays in China's stirring come-from-behind win over Korea and then saving his best game for last as they upended the Philippines in the Final. For his efforts, Guo was adjudged one of the tournament’s best guards alongside Filipino star Jayson Castro. 2015 was Guo's coming out party, and there is the feeling that things will only get better for this fiery 22-year-old playmaker from Liaoning. 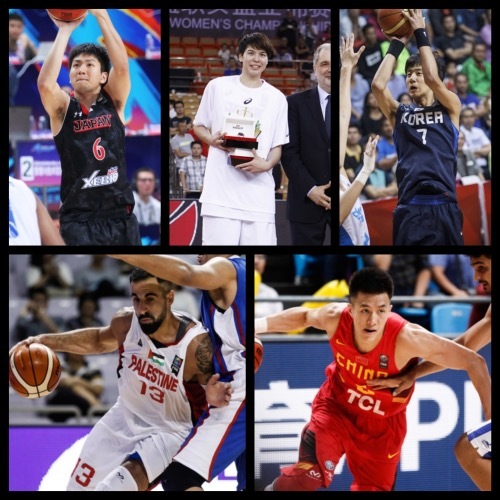 #FIBAAsia2015 MVP @Yi_JL headlined the All-Star Five, which also included his China team-mates Guo Ailun and Zhou Qi, @JayWill_17 of Philippines, and Iran’s @Samad_Nikkhah_Bahrami!